In all her work, whether writing about intimacy or alienation, Rankine’s voice is typified by intensity and candor. Her poetry is both innovative and thoughtful, often crossing genres as it tracks startling yet precise leaps of the mind. As the Judges Citation for the Jackson Prize notes, “The moral vision of Claudia Rankine’s poetry is astounding. In a body of work that pushes the boundaries of the contemporary lyric, Rankine has managed to make space for meditation and vigorous debate upon some of the most relevant and troubling social themes of the 20th and 21st centuries…. These poems do the work of art of the highest order—teaching, chastening, changing, astounding, and humanizing the reader.” Among her numerous awards and honors, Rankine is the recipient of the Poets & Writers’ Jackson Poetry Prize and fellowships from the Lannan Foundation and the National Endowment of the Arts. Co-sponsored with the American Studies Program, Creative Writing Program, the English Speaker’s Fund, the Hartford, UConn Humanities Institute, and the Rightors Fund. 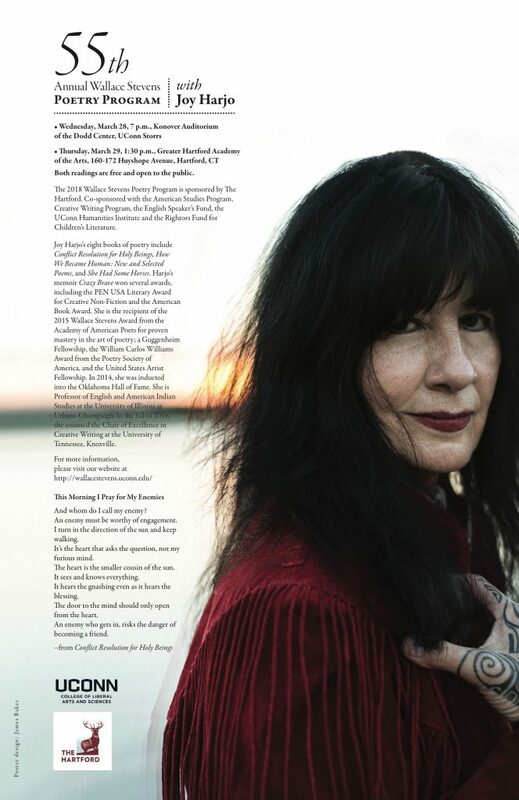 Joy Harjo’s eight books of poetry include Conflict Resolution for Holy Beings, How We Became Human: New and Selected Poems, and She Had Some Horses. Harjo’s memoir Crazy Brave won several awards, including the PEN USA Literary Award for Creative Non-Fiction and the American Book Award. She is the recipient of the 2015 Wallace Stevens Award from the Academy of American Poets for proven mastery in the art of poetry; a Guggenheim Fellowship, the William Carlos Williams Award from the Poetry Society of America, and the United States Artist Fellowship. In 2014, she was inducted into the Oklahoma Hall of Fame. A renowned musician, Harjo performs with her saxophone nationally and internationally, solo and with her band, the Arrow Dynamics. She has five award-winning CDs of music including the award-winning album Red Dreams, A Trail Beyond Tears and Winding Through the Milky Way, which won a Native American Music Award for Best Female Artist of the Year in 2009. She is Professor of English and American Indian Studies at the University of Illinois at Urbana-Champaign. 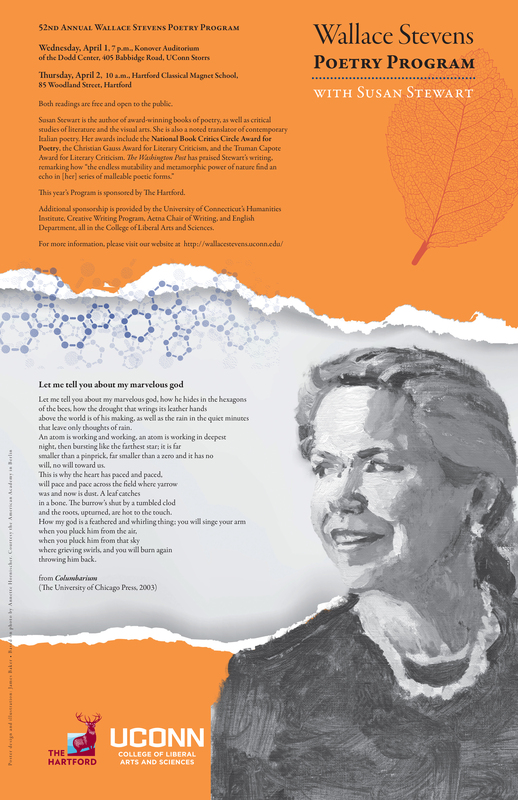 In the fall of 2016, she assumed the Chair of Excellence in Creative Writing at the University of Tennessee, Knoxville. Listen to Episode 1 of the Podcast! Hosted by Miller Oberman and featuring Penelope Pelizzon, Darcie Dennigan, Sean Forbes, Glen MacLeod, Eleanor Reeds, and Anna Ziering. Acclaimed American poet A.E. Stallings studied Classics at the University of Georgia and Oxford. She has published three collections of poetry — Archaic Smile, Hapax, and Olives — and has been praised in The Hudson Review as the “most gifted formalist of her generation.” She is also a highly-regarded translator; the Times Literary Supplement named her verse translation of Lucretius’s The Nature of Things “one of the most extraordinary classical translations of recent times.” Stallings’s awards include a translation grant from the National Endowment for the Arts and fellowships from United States Artists, the Guggenheim Foundation, and the MacArthur Foundation. A member of the American Academy of Arts and Sciences, she lives in Athens, Greece. Carl Phillips, the 2016 Wallace Stevens Poet, was recently interviewed on NPR. You can listen to the interview here. The University of Connecticut’s English Department and The Hartford are pleased to announce that Carl Phillips, the 53rd Annual Wallace Stevens Poet, will give two readings from his work, on March 22 and 23, 2016. * At 7 p.m. on Tuesday, March 22 at the Konover Auditorium of the Dodd Center, 405 Babbidge Road on the UConn Storrs campus. Student winners of the Wallace Stevens Poetry Award will also be honored at the event. The reading will preceded by a reception starting at 6 p.m. in the lounge adjacent to the Konover Auditorium. * And at 1:30 p.m. on Wednesday, March 23 at the CREC Greater Hartford Academy of the Arts at 15 Vernon Street in Hartford. The readings and the reception are free and open to the public. 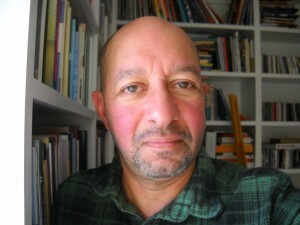 Phillips’s many honors include the Kingsley Tufts Poetry Award, a Lambda Literary Award, an Award in Literature from the American Academy of Arts and Letters, the Academy of American Poets Prize, induction into the American Academy of Arts and Sciences, and fellowships from the Guggenheim Foundation and the Library of Congress. Phillips served as a Chancellor of the Academy of American Poets from 2006 to 2012. He is Professor of English and of African and African American Studies at Washington University in St. Louis, where he also teaches in the Creative Writing Program. The Wallace Stevens Poetry Program began in 1964 with funding from The Hartford to honor Modernist master poet Wallace Stevens, a former Vice President of The Hartford. In the last half century, the Program has brought a roster of the most important national and international poets to Connecticut. This year’s Program is sponsored by The Hartford, as well as the University of Connecticut’s English Department, Humanities Institute, and Creative Writing Program, all housed in the College of Liberal Arts and Sciences. Additional support is provided by the UConn Rainbow Center. Thursday April 2, 10 a.m., Poetry reading at Hartford Classical Magnet School, 85 Woodland Street, Hartford, CT 06103. 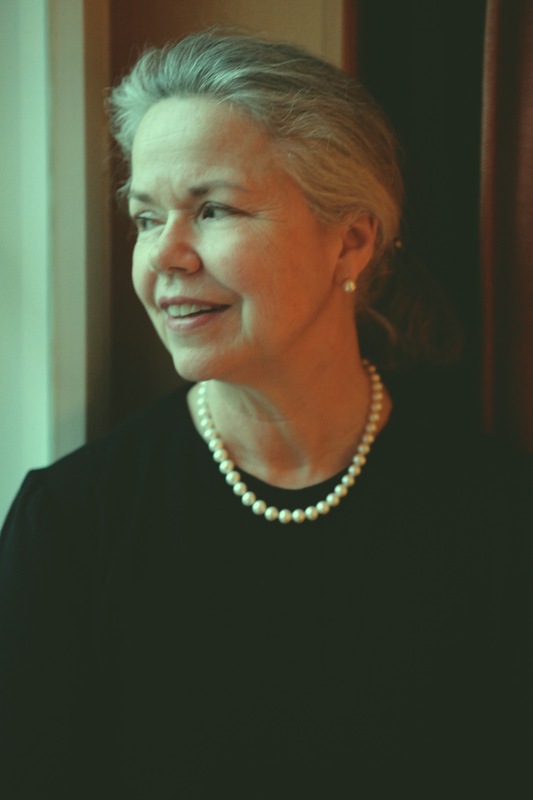 Poet, critic, and translator Susan Stewart is the Avalon Foundation University Professor in the Humanities and Director of the Society of Fellows in the Liberal Arts at Princeton University. Stewart’s most recent books of poems (all published by the University of Chicago Press) are Red Rover (2008), Columbarium, which won a 2003 National Book Critics Circle Award, and The Forest (1995). Her translations and co-translations include Love Lessons: Selected Poems of Alda Merini (Princeton, 2009), Euripides’s Andromache (Oxford, 2001), and the poetry and prose of the Scuola Romana painter Scipione. In 2013 she published two co-translations with Chicago: Laudomia Bonanni’s novel The Reprisal and Milo De Angelis’s most recent books of poetry, Theme of Farewell and After-Poems. Stewart’s most recent books of criticism (also with the University of Chicago Press) are The Poet’s Freedom: A Notebook on Making (2011); Poetry and the Fate of the Senses (2002), which won the Christian Gauss Award for Literary Criticism in 2003 from the Phi Beta Kappa Society and the Truman Capote Award for Literary Criticism in 2004; and The Open Studio: Essays on Art and Aesthetics (2005), a collection of her writings on contemporary art. A 1997 MacArthur Fellow, Stewart recently served as a Chancellor of the Academy of American Poets. She was elected to the American Academy of Arts and Sciences in 2005, and four years later she received an Academy Award in Literature from the American Academy of Arts and Letters. She has collaborated with contemporary artists Ann Hamilton and Sandro Chia, among others. In October 2009, Stewart’s song cycle, Songs for Adam, commissioned by the Chicago Symphony with music by composer James Primosch, was premiered by the CSO with baritone Brian Mulligan and Sir Andrew Davis conducting. This year’s Program is sponsored by The Hartford. Additional sponsorship is provided by the University of Connecticut’s Humanities Institute, Creative Writing Program, Aetna Chair of Writing, and English Department, all in the College of Liberal Arts and Sciences. Congratulations to the 2014 Student Poetry Prize winners! Congratulations to Miller Oberman, Katherine Monica, and Amber West, the winners of this year’s Wallace Stevens Poetry Prize. Read samples of their work here. The University of Connecticut’s English Department and The Hartford are pleased to announce that Paul Muldoon, the 51st Annual Wallace Stevens Poet, will give two readings from his work on April 9 and 10, 2014. Mr. Muldoon will read at 1:30 p.m. on Wednesday, April 9 at the Greater Hartford Academy of the Arts, 15 Vernon Street in Hartford. He will present a second reading at 7 p.m. on Thursday, April 10 at the Alumni Center on the UConn Storrs Campus. Both readings are free and open to the public. The Times Literary Supplement has called Muldoon “the most significant English-language poet born since the Second World War.” His many awards include the Pulitzer Prize, the Griffin International Prize for Excellence in Poetry, the American Ireland Fund Literary Award, and the European Prize for Poetry. The author of over a dozen volumes of poetry and criticism, Muldoon’s writing is typified by its brilliant wit and a dazzling reinvention of poetic forms. Muldoon was born in County Armagh, Northern Ireland, and now resides in the United States where he is poetry editor of The New Yorker and Howard G. B. Clark ’21 Professor at Princeton University. The Wallace Stevens Poetry Program began in 1964 with funding from The Hartford to honor Modernist master poet Wallace Stevens, a former Vice President of The Hartford. In the last half century, the Program has brought a roster of the most important national and international poets to Connecticut. This year’s Program is sponsored by The Hartford, as well as the University of Connecticut’s English Department and the UConn Humanities Institute in the College of Liberal Arts and Sciences.